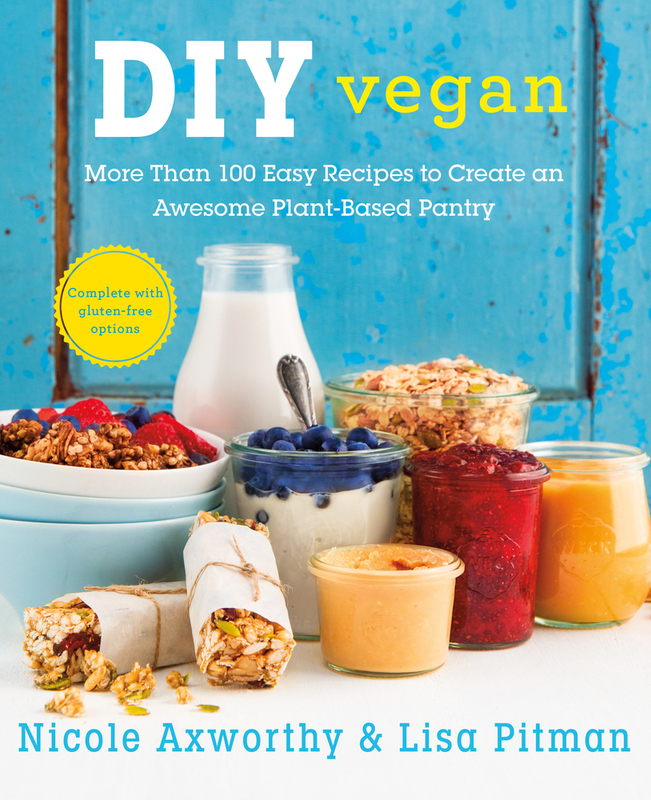 Released just last month, DIY Vegan is already my new favorite cookbook for so many reasons– and it’s probably going to be your new favorite too. This is newest release from Nicole Axworthy of A Dash of Compassion and Lisa Pitman of Vegan Culinary Crusade. DIY Vegan is a gorgeous book full of great ideas (and incredible photography by Axworthy), and offers a solution to one of the biggest problems I see in the food industry: the scourge of processed foods. Frustrated with offerings at their local stores, Axworthy and Pitman decided to take it into their own hands and make it easy for anyone to enjoy their favorite snack foods without all the terrible ingredients that are usually associated with snack foods or prepared options. With this book, these ladies make it abundantly clear that one can still enjoy nachos, salad dressing, macaroni and cheese, sauces, popcorn, and desserts without the garbage. The other thing I just love so much about this book is that everything is so simple: recipes are well designed, stay away from wild ingredients, and make the pantry staples that will make every home cook happy for easy weeknight meals and everyday staples to make all meals more appealing. Check out Vibrant Wellness Journal for my review of their Sweet Ginger Stir-Fry Sauce. An easy solution to weeknight dinners. The first recipe I tried was these coconut bacon bits, and I was so excited with the simplicity and my mind immediately wandered to all the amazing things that could be made even more delicious with this plant-based bacon (even better now that we know that real bacon is officially bad for us). I tried these little bits of awesomeness on salads, on sandwiches, and just out of hand. Use them atop steamed veggies, stirfries and more. A recipe note: I don’t usually have vegan Worcestershire sauce (and haven’t gotten around to making my own yet) so I used extra Bragg’s in this recipe, and it worked great. Do be mindful of the timing: in the last two minutes they went from dark brown and perfect to smoking. Stand by the oven and keep an eye out for these babies. Coconut Bacon Bits, shown with homemade croutons and vegan ranch dressing. Get the book to get all the recipes! You’ve just got to give these a try. We love to use them in vegan club sandwiches, in salads, or to coat an amazing Classic Cheese Ball (page 60). But if you’re someone who loves smoky, salty sweets, you can also add these as a topping to doughnuts, cookies, and brownies. P.S. One of our testers told us this recipe alone was worth the price of the book. Preheat the oven to 300°F. Line a baking sheet with parchment paper. In a medium bowl, combine the tamari, Worcestershire, liquid smoke, maple syrup, olive oil (if using), vinegar, and paprika and stir. Toss in the coconut flakes and stir until well coated and no liquid remains at the bottom of the bowl. Spread the coated coconut in a single layer over the prepared baking sheet. Bake for 18 to 20 minutes, stirring every 5 minutes. Watch carefully—the edges can burn quickly! Let cool on the baking sheet. Store in an airtight container at room temperature for up to 1 month. Reprinted from DIY Vegan. Copyright © 2015 Nicole Axworthy and Lisa Pitman. Published by St. Martin’s Griffin, who furnished a review copy of the book. Previous article The Waste Biz: Are Waste Sorting Robots The Answer To Recycling Industry Woes? Andrea is a marketing and media professional focused on mission-driven businesses. She currently manages sales at CleanTechnica, the world’s largest cleantech news website. She has worked at startups, in small businesses, and as a freelancer, and brings years of marketing, event management, and community outreach skills to our team. 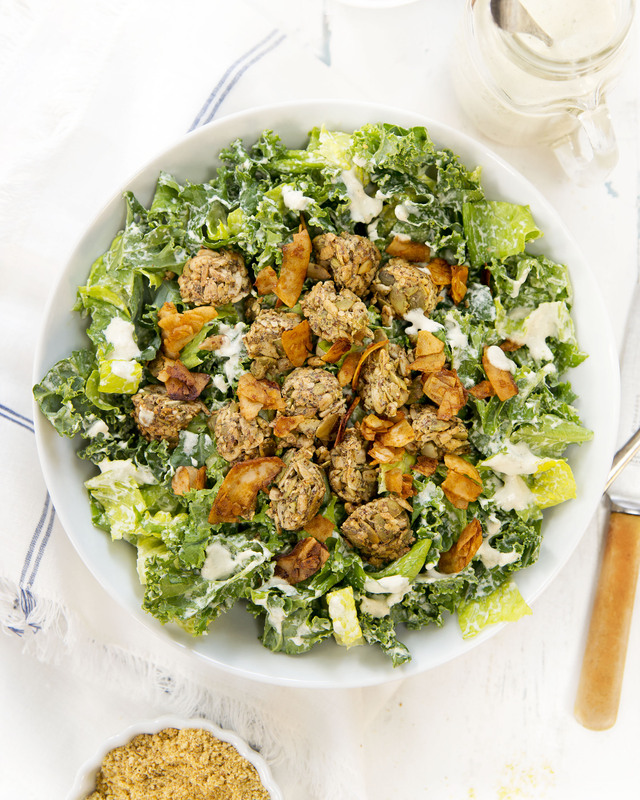 She’s also a plant-based chef, author, and educator, and teaches monthly cooking classes, manages a wellness website, and is always in the kitchen making delicious foods – which you can peek on. Re-Release of Wild Fermentation is Bigger and Better than Ever!